Born on July 4, 1957, Her Royal Highness Princess Chulabhorn Walailak is the youngest daughter of Their Majesties King Bhumibol Adulyadej the Great and Queen Sirikit of Thailand. 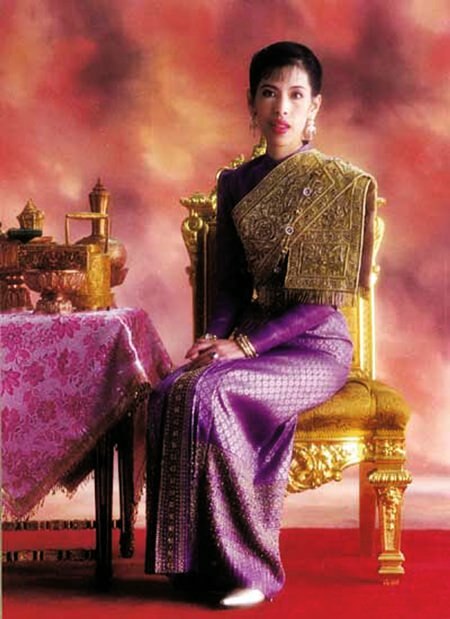 She has two daughters, HRH Princess Siribhachudhabhorn and HRH Princess Adit­yadhornkitikhun. Princess Chulabhorn graduated from the Faculty of Science and Arts at Kasetsart University with a Bachelor of Science Degree in Organic Chemistry, First Class Honors, in 1979, following with a doctorate in 1985, being awarded a Doctor of Philosophy Degree in Organic Chemistry from Mahidol University in July of that year, capping off a record of excellent academic achievement. In 1986, she was appointed as an Honorary Fellow of the Royal Society of Chemistry in London and was awarded the Einstein Gold Medal by the United Nations Educational, Scientific and Cultural Organization (UNESCO). The following year, she undertook post-doctoral studies in Germany, and has since been a visiting professor at universities in Japan, Germany, and the United States, as well as holding Honorary Doctorates from many universities around the world. Her Royal Highness is chairperson of the Working Group on the Chemistry of Natural Products, a collaborative program between the Japanese Society for the Promotion of Science and the National Research Council of Thailand. HRH the Princess has received international recognition for her scientific accomplishments, resulting in her appointment to various United Nations posts, namely special advisor to the United Nations Environment Program and member of the Special High-Level Council for the International Decade for Natural Disaster Reduction of the United Nations. As a result of her experience as a scientist, HRH the Princess became aware of the difficulties Thai researchers have in obtaining the necessary funding for their research and so, in 1987, she established the Chulabhorn Research Institute to provide a new fund-raising agency for such research. This institute now acts as a focal point for the exchange of intellectual and other resources in Thailand, for the purpose of solving urgent problems confronting the country in areas of health, environment, and agriculture. As president of the Chulabhorn Research Institute, HRH the Princess currently directs many special research projects, including the AIDS program; a program on restoration and integrated development of the flood-affected areas in Southern Thailand; seawater irrigation for cultivation of economic marine species and preservation of the mangrove forests; a rabies eradication program, with a special project for accelerated immunization in five southern provinces in Thailand; the Light for Life Foundation for Epilepsy, Chulalongkorn Comprehensive Epilepsy Program; Tabtim Siam Secondary School in Surin province; and the ‘Voice of Dharma for the Public’ Radio Station in Udon Thani province. Through these programs HRH the Princess plays an auspicious role in improving the environment and living standards of the villagers in a number of Thai provinces. Thank you HRH Princess Chulabhorn for your lifetime of dedication. All of us at the Pattaya Mail Media Group join the entire Kingdom in wishing Her Royal Highness Princess Chulabhorn a Most Happy 60th Birthday on the fourth of July 2017.